Historically a town with agricultural growth and seasonal cottages, Los Altos is now an affluent community of Silicon Valley. Notorious for its affluent community status amongst the valley, the city of Los Altos features a rich and vibrant history of agriculture and economic developments as early as 1908. Historically known as Banks and Braes, this area was acquired by an executive at the Southern Pacific Railroad company and formed into the Altos Land Company. Train service through the city first began in through the spring of 1908 and its first train station was built in 1913 at 288 First Street. With continued threats of the annexation of neighboring cities Palo Alto and Mountain View and the expansion of Santa Clara County, the city was incorporated in 1952. Geographically, Los Altos is found in the northern Silicon Valley region situated amongst the foothills of the west Santa Cruz Mountains with Palo Alto to it's north, and with neighboring cities Sunnyvale and Mountain View to the east. Notable residents and former residents of Los Altos include Andrew Grove, Steve Jobs, Charles Geschke, and Mark Zuckerberg. The first fifty Apple I's are said to have been built by Steven Jobs and Steve Wozniak in Job's garage in Los Altos. We are proud to serve current residents and prospective homeowners in the Los Altos area. Find more info and sources for this information here. 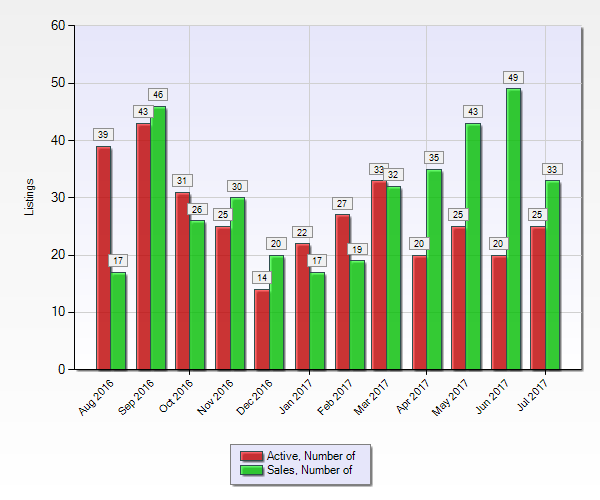 Property data obtained from MLSListings.com. Info is deemed to be correct but not guaranteed. Data presented may not be most recent. Image resolution optimized for viewing on tablet or computer monitor.